One of the more popular types of siding used today is vinyl siding. It’s made to look stylish and can compliment almost any home. It’s also a very affordable way to get your home covered. In this article I’ll take a look at some of the pros and cons of installing vinyl siding on your home and also go over some of the choices that are available to you if you choose to use this popular type of siding. Vinyl siding has been around for decades and has been installed on millions of homes nationwide. In fact, after it was introduced, the popularity of this type of siding grew exponentially for the past few decades. Now with more siding choices being introduced to the market over the past decade including James Hardie Siding and Cement siding it’s popularity has decreased a bit. But vinyl siding remains one of the most popular types of siding available. I’ll go over why so many people choose vinyl siding in the content below. One of the biggest advantages of using vinyl siding is the price. It’s one of the most economical ways to cover the exterior of you home with siding. It’s much less expensive even when new construction is involved when compared to other types of siding materials. Although preparation for older homes may be a bit more expensive typically it’s one of the cheapest ways to install a siding material on your home. Vinyl siding is made by molding each piece of vinyl into a predefined shape. This shape can be made to mimic cedar shakes or older German wooden siding. In fact, the patterns that can be duplicated when it comes to siding are vast and getting a unique pattern to match what you’re searching for is likely with so many different patterns on the market today. Not only is the patterns that make up the siding different there are also a variety of colors to choose from as well. This includes standard colors like plain white to more trendy colors such as violet. This many different choices can make your home look unique even when the entire neighborhood is full of home covered with vinyl siding. Is Vinyl Siding Too Fragile? One of the disadvantages of choosing vinyl siding is that it’s not a good protectant siding. So if your kids are throwing baseballs against it in the Winter chances are it’s going to break and crack. When this happens you can get vinyl siding repair in Michigan but it can be a problem if you have kids that continue to throw items like balls against the siding. For most home owners this really isn’t a problem and can occur with other types of siding as well. One of the biggest advantages of vinyl siding is that it does not require maintenance liken wooden siding. You won’t need to continually paint the siding year over year because the color of the siding is completely through it. You may experience some fading of the siding but this is usually minimal and not really a factor unless there is damage that has occurred to the siding. Other than the occasional pressure washing the siding can last for more than a few decades on your home without any trouble what so ever. 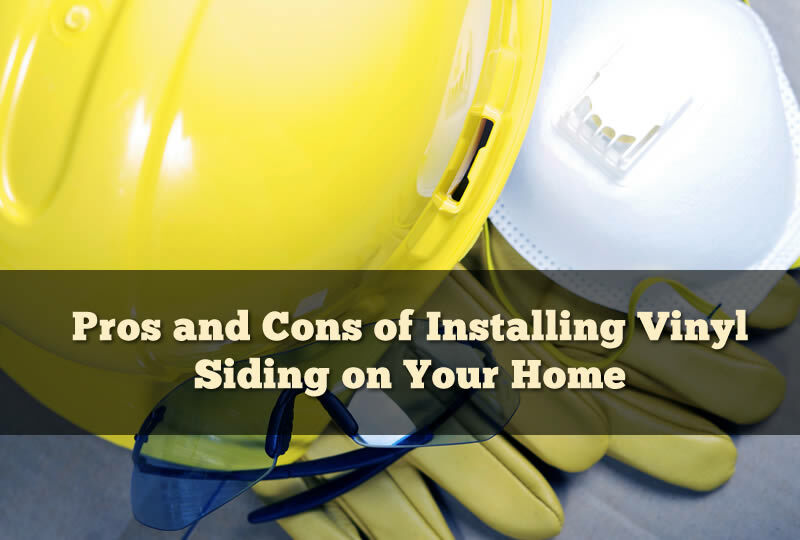 One of the biggest problems people have with vinyl siding is problems with installation. Vinyl siding is installed with certain rules that an installer must follow in order to make sure the project is done correctly. Unfortunately, there are many siding contractors out there that don’t follow the guidelines of siding manufacturers and install siding incorrectly, and the home owner ends up with siding that doesn’t look great. That’s why using qualified siding installation contractors in Michigan is a must. Before you get siding installed on your home be sure to check out the featured siding contractor here at Michigan Siding Pros that we recommend which is All Point Construction. Give them a call today to learn more about the siding choices you have and to get a free quote.